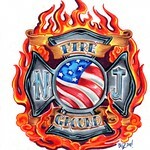 We post jobs daily and are looking for your pictures of firegrounds, dept. activities, or anything else fire related anywhere in New Jersey. Advertising space on site is available, contact us for information. DISCLAIMER- Photos for download and purchase are not available for legal or commercial use. Please contact me directly with any questions.